When selecting an examiner to work with the most important issue is are they qualified and experienced. How can you tell easily as the website looks good? 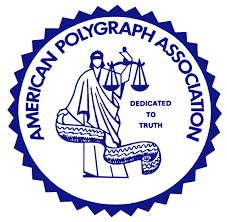 Fortunately, our industry has the American Polygraph Association with over 2800 polygraph examiners worldwide, the includes Government and Police Examiners. They are extremely important as they regulate the industry. Recently we have experienced some new comers to the industry here in the UK, like Premier Polygraph Services who are not members of the APA. Why does this matter to a consumer, read more below and find out why? The American Polygraph Association (APA) is the leading professional polygraph organization in the world, representing more than 2,800 experienced polygraph examiners in private business, law enforcement and government. Professional APA polygraph examiners administer hundreds of thousands of polygraph exams each year worldwide. The APA establishes standards of ethical practices, techniques, instrumentation and research, as well as provides advanced training and continuing education programs. APA examiners are highly qualified professionals who are motivated to help protect the public by verifying the truth, while following the highest standards of moral, ethical, and professional conduct. APA examiners pledge to follow all the rules and regulations for polygraph methodologies that are accepted and used in the field today. The APA governs the conduct of its members by requiring adherence to a Code of Ethics and a set of Standards and Principles of Practice. In order to become an APA member, examiners must adhere to strict guidelines and educational requirements that include hundreds of hours of coursework at an APA approved school, as well as an internship. As in many respected professions, APA members must acquire annual continuing education and training in order to maintain membership. Each APA accredited school is inspected regularly and rigorously to ensure that the curriculum’s attain the highest standards by teaching the most current, fundamental polygraph techniques. Through strict adherence to training and education standards, APA examiners are able to attain accuracy rates exceeding 90 percent. The Association is governed by a board of 11 officers who are elected by the members. Through this board, the APA represents industry segments that include government, law enforcement, private practice, education and the public at large. In the UK we also have the British Polygraph Association who closely follow the Code of Ethics and Standards and Principals of Practice set by the APA, a list of qualified examiners can be found here. Who is the Examiner / Are They Really Members of the British and American Polygraph Association? Is the Price fixed With no Additional Charges? Do you have your Own Offices? Can You Provide Service Locally? Do I Get Written Results? Can you accommodate my… schedule & location, evenings and weekends? What Quality Controls are utilised? Do you have a female examiner available?